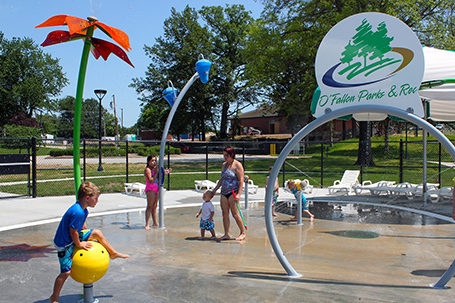 The O’Fallon Alligator Creek Aquatic Center expansion began when a community advocacy team comprised of eight O’Fallon residents raised awareness on the positive impacts that aquatics and recreation opportunities can have on their community. This group came to be known as the O’Fallon Parks and Action Team (OPAT) and met bi-weekly for nearly six months planning and strategizing how to initially educate the community on the proposed expansion. Once the community was well informed, it then became the OPAT’s mission to initiate support for the passage of a ½ cent sales tax proposition that would be used to fund the project. Through many public meetings and community outreach efforts, the residence of O’Fallon successfully passed the bond issue with an approximate 60% yes vote. 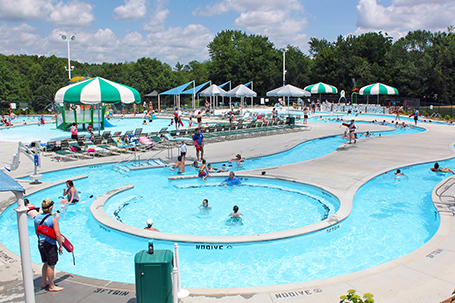 The O’Fallon Alligator Aquatic Center was originally built in 1969 and included only a competition pool. 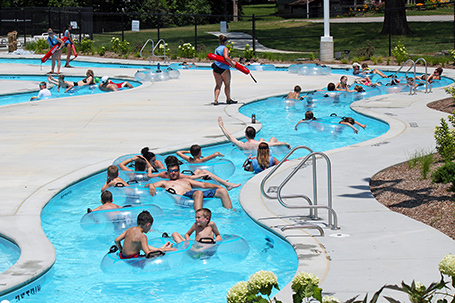 While the aquatic center has undergone numerous renovations, including an expansion in 2001 adding a second leisure pool, this is the biggest renovation and expansion to date. 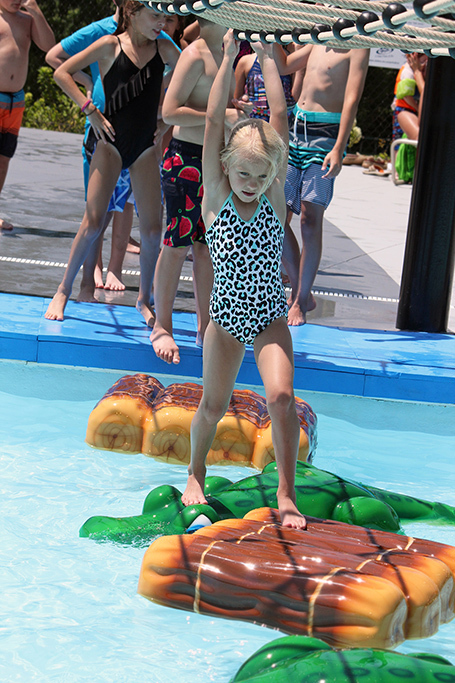 while the aquatic center still includes the existing two pools, the addition of a lazy river and sprayground have doubled the aquatic centers size. The existing pools also receive a nice facelift with new paint and added features that every family will enjoy.